Jordan Brand released the first-ever Carmelo Anthony signature shoe in the sneaker market once again as part of the celebration of the 10th anniversary of the Melo shoe line. Now dubbed as the Jordan Melo 1.5, this excellent-looking shoe was released earlier this month and is currently making a lot of noise. 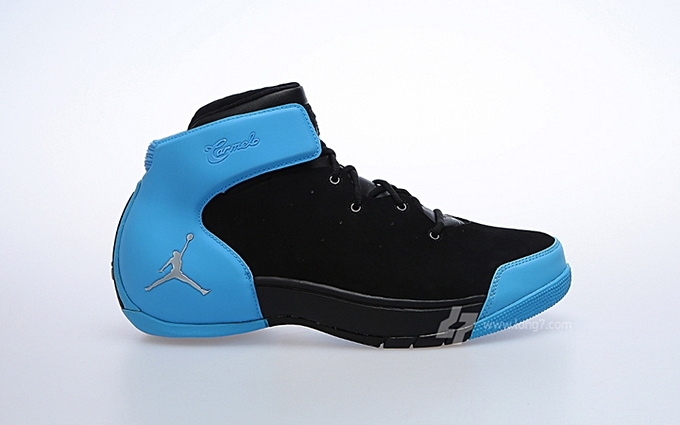 This edition, which was previously known as the “Nubuck” edition when it was released in 2004, this shoe features a black-based nubuck upper part combined with university blue and metallic silver hints. Make sure to check this out in the nearest Nike retailers!